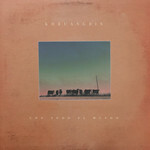 Formed of Laura Lee on bass, Mark Speer on guitar, and Donald "DJ" Johnson on drums; globetrotting Texan trio Khruangbin present their second album 'Con Todo El Mundo', set for release on 26th January 2018. Whereas their 2015 debut album 'The Universe Smiles Upon You' was influenced by 60s and 70s Thai cassettes and compilations of southeast Asian pop, rock and funk, 'Con Todo El Mundo' hops east over India to take inspiration in similarly under discovered funk and soul sounds of the Middle-East, particularly from Iran. Laura Lee explains the album's title: "My grandpa would always ask me 'Como me quieres?' ('how much do you love me'? ), and he'd only ever accept one response. 'Con todo el mundo' (With all the world)." Throughout 'Con Todo El Mundo', Laura Lee's melodic low-end theory, Mark's lyrical, free-role guitar lines, and DJ's ever-steady, ever-ready backbeat form something greater than their parts. A vibe-synchronous soul-unit travelling the planet, honing their craft, absorbing the sights, sounds and feels from cultures across the globe, processing them through the Khruangbin filter and gifting the result...with all the world.